The session and application manager delivers near real-time analytics with the scalability to manage traffic volumes from Tier 1 operators across the US. Singapore – May 5, 2015 – Cataleya, a wholly owned subsidiary of the Epsilon Global Communications group, has installed its Session and Application Manager Orchid One for InComm Network Services, a division of InComm – a leading provider of integrated point-of-sale (POS) technology solutions to retailers. Orchid One drives operational efficiency for InComm by combining switching, services and monitoring into a single platform. It also offers scalability and real-time network analytics to enable InComm to deliver superior quality of service to its customers with easy-to-use and intuitive network management. InComm Network Services facilitates connectivity between national and regional operators, of which over 6 billion minutes a month of voice traffic is generated. Due to increasing traffic volume, InComm sought scaling and monitoring efficiencies to enhance its network offering and a solution to be an integral part of its international programs and fraud management system. 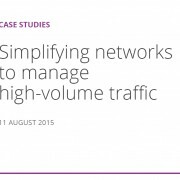 It selected Orchid One to find a better way to manage its growing traffic volumes and offer its interconnecting partners a higher quality of service. Orchid One has been specifically developed to address the need for end-to-end quality of service and quality of experience in IP networks. It is an advanced session border controller (SBC) technology that delivers unparalleled visibility into network performance from the transport to application layers. 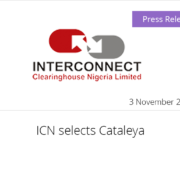 “The Cataleya team was able to roll-out Orchid One in little over the a month with a simple, reliable and predictable migration. We are now even more proactive in our network management and deliver the quality and services our partners appreciate,” says Dan Anderson – Executive Vice President & General Manager at InComm. Orchid One offers the scalability to match rapid growth with ability to manage 100,000 concurrent sessions within 2RU form factor. Customers can manage network operations with near real-time analytics related to session, service, application, MOS/R-factor scores, network and end-to-end SLAs. “We now gather near real-time network intelligence that enables us to make quick and informed decisions about our network. That is a lot more powerful than waiting for post processed CDR information and doing our best with that. Orchid One really changes what we can do with our network and we can offer more services to our customers,” says Bill Salmon – VP Network Engineering at InComm. InComm is a leading provider of cutting-edge prepaid products, services and transaction technologies to retailers, brands and consumers. InComm supports more than 400,000 points of distribution and helps retailers build prepaid card destinations, connects brands with new markets and gives consumers a simple, secure shopping experience. InComm stays ahead of emerging trends by analysing market needs and leveraging its global, innovative commerce platform, go-to-market expertise and extensive partner relationships. With 123 global patents, InComm is headquartered in Atlanta and has offices in North and South America, Europe and the Asia-Pacific region. InComm Network Services is the telecom division of InComm supporting retail carriers with products including fraud detection and mitigation, retail program support, and minute termination services that compliment InComm’s retail distribution.